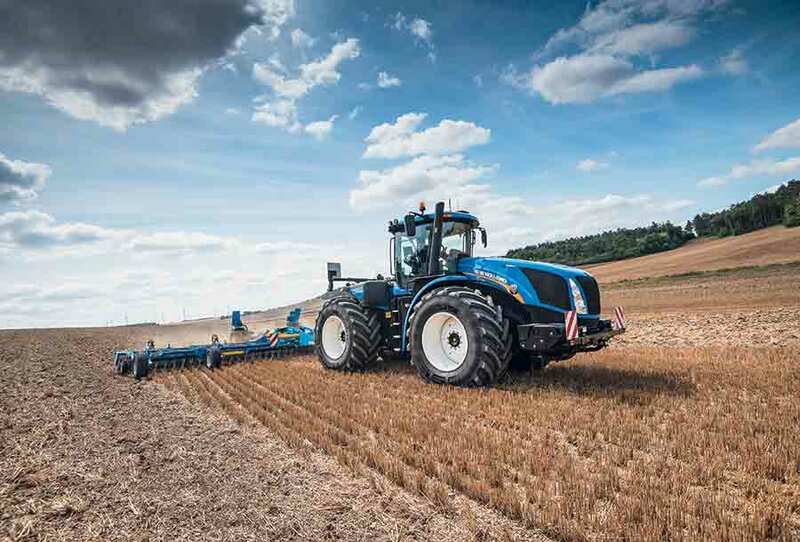 New Holland launches its innovative Auto Command™ Continuously Variable Transmission on its flagship T9 Series tractors. 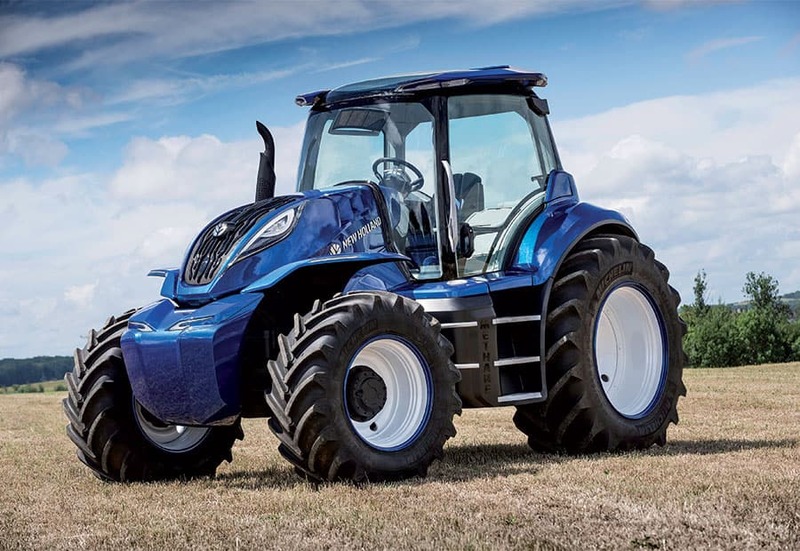 The five-model line-up develops maximum outputs ranging from 429 horsepower to the 605 hp with the range-topping T9.600 AC, making it the most powerful CVT tractor in the world today. 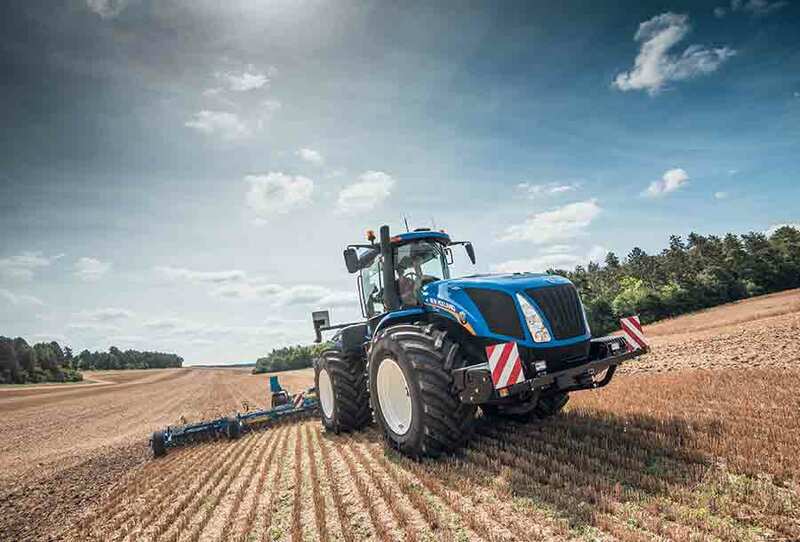 This easy-to-operate tractor takes productivity, efficiency and versatility to an entirely new level. 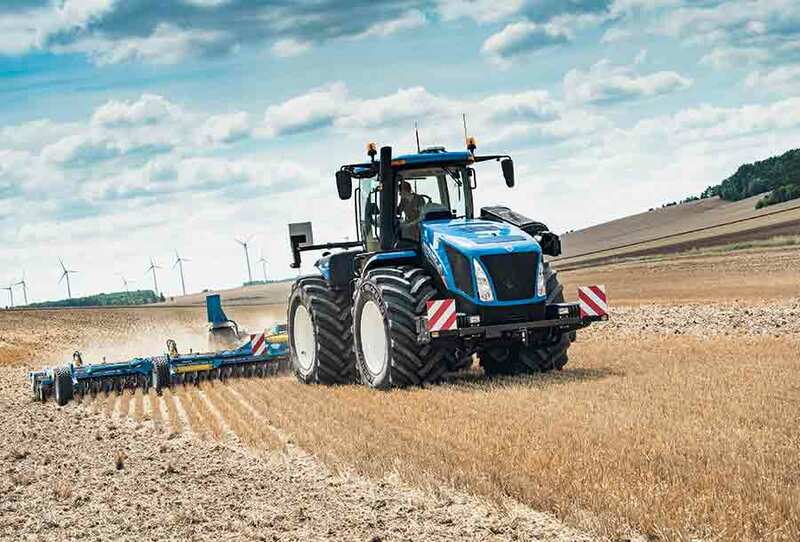 The Auto Command™ transmission provides seamless speed changes with the most intuitive operating logic in the market, a logic that is already proven on other New Holland tractor ranges. The ease of use and commonality is an obvious advantage for farming operations that regularly use seasonal labour and where there are multiple ranges of tractors. The award-winning SideWinder™ II armrest with fully integrated IntelliView™ IV ultra wide colour touchscreen and CommandGrip™ multifunction handle offer supremely comfortable and easy operation. The CommandGrip™ handle, which puts the most frequently used functions at the operator’s fingertips, also uses force-based logic to control the tractor’s speed and acceleration. 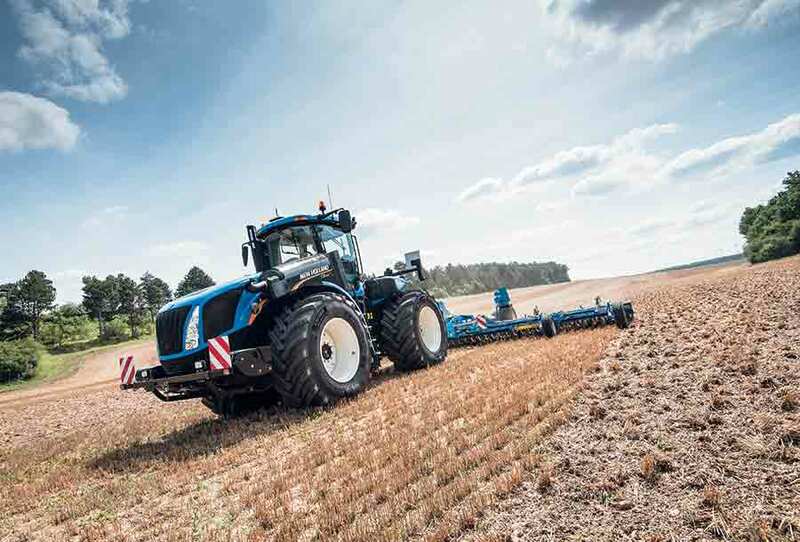 With the Auto Command™ transmission, this delivers the infinite range of speeds to perfectly match the application. 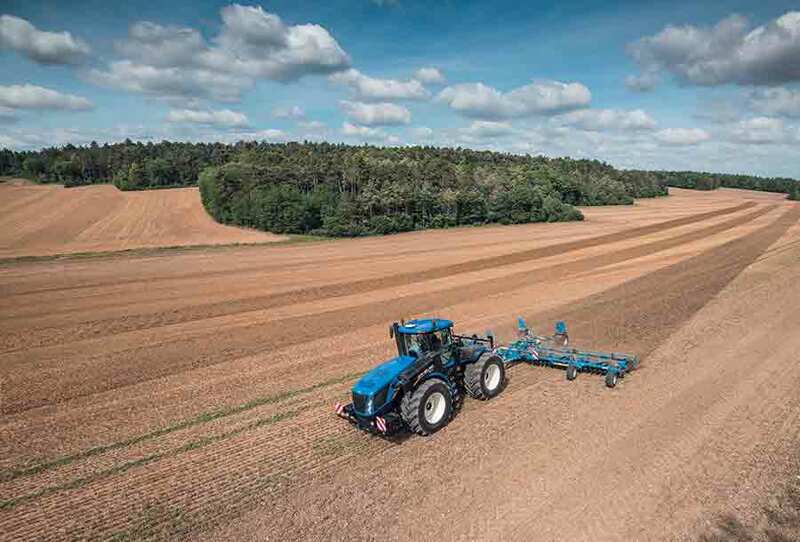 The fully integrated IntelliSteer™ autoguidance maximizes productivity and efficiency, enabling parallel pass-to-pass accuracy as precise as 1 to 2 cm, while PLM Connect telematics allows close monitoring of the tractor’s performance from the convenience of the farm office. 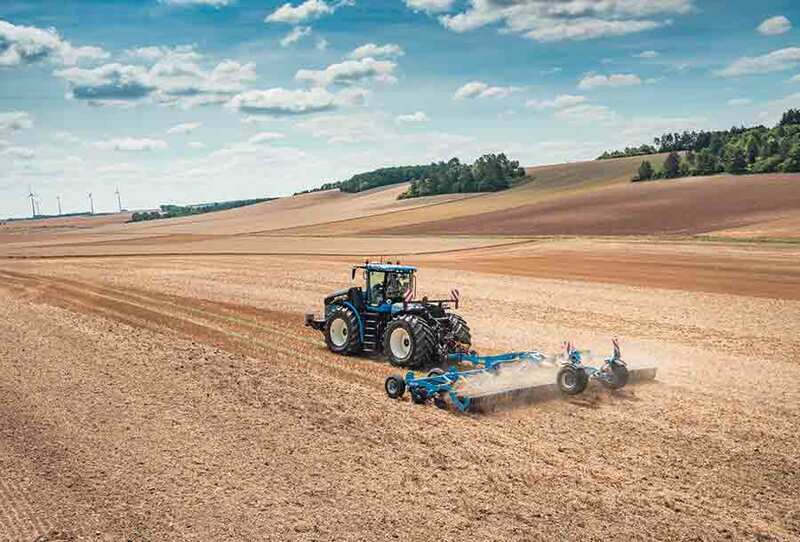 The Auto Command™ transmission automatically adjusts engine power and ground speed for maximum productivity to match the requirements of the application, be it in heavy, light or variable draft work. In transport, the fast acceleration and 40 km/h road speed with all tires at a quiet and efficient 1650 engine rpm give it the advantage on other transmissions. 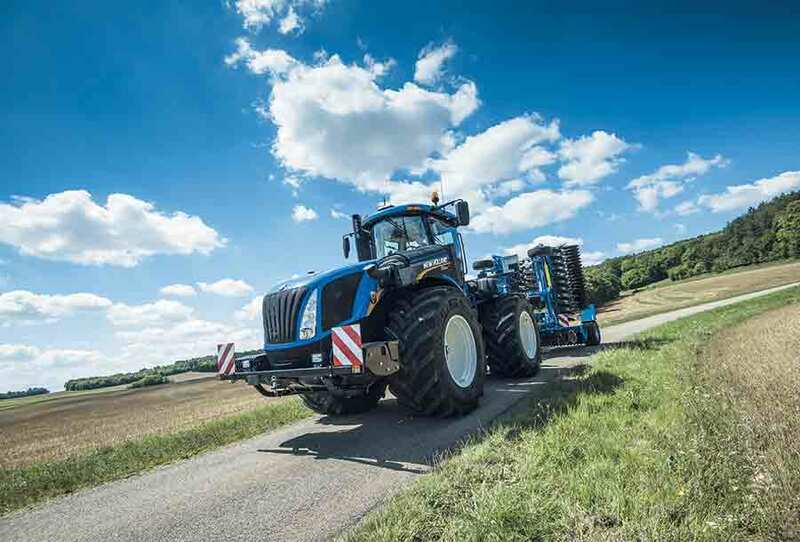 Auto Command™ also offers the advanced Active StopStart safety feature that prevents the tractor moving backwards or forwards when it is brought to a standstill on a gradient, even with a heavy load.